Welcome on our ‘iZombie Episode Guide‘ Database. Here you will be able to find all ratings, titles, airdates, synopsis, trailers, short links (screen-captures/episodes stills), of all ‘iZombie‘ Episodes. 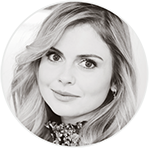 For everything of about Rose McIver as ‘Liv‘, check out the ‘About Olivia ‘Liv’ Moore‘ section, where you’ll find all the details of her personality, relationships, looks and much more! S01E02 Brother, Can You Spare A Brain? S04E01 Are You Ready for Some Zombies?